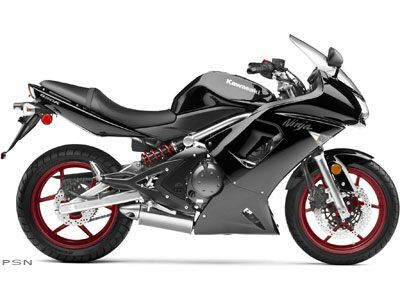 KAWASAKI NINJA® 650R SPORT PERFORMANCE COMBINED WITH REAL WORLD HANDLING A middleweight that’s capable, practical, strong and fun to ride. 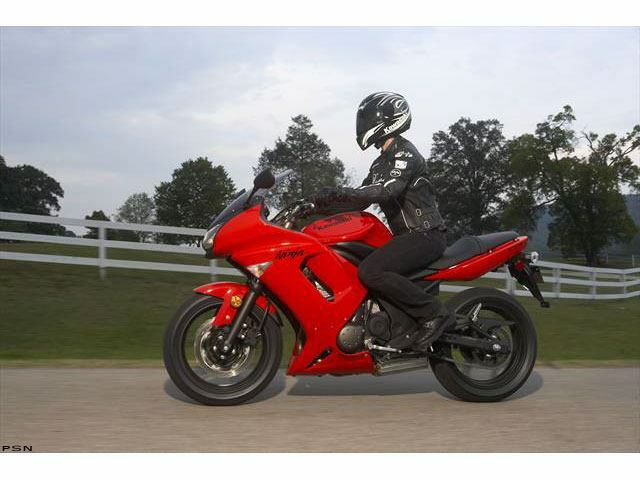 With its cutting edge design and astonishing versatility, it is no surprise the 2008 Kawasaki Ninja® 650R excels in real world riding. 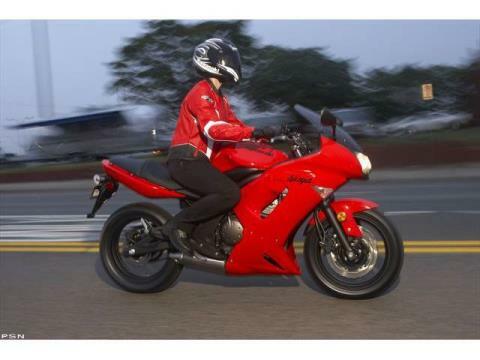 Mating sportbike performance levels and a comfortable seating position –something rare in the same sentence as sportbike –the Ninja 650R is well-suited for slicing through commuter traffic, running errands and hitting the back roads or a track on weekend days. This versatility is good, because the more time a rider spenDual Sport with the Ninja 650R, the stronger their desire to just ride – for any reason – will become. 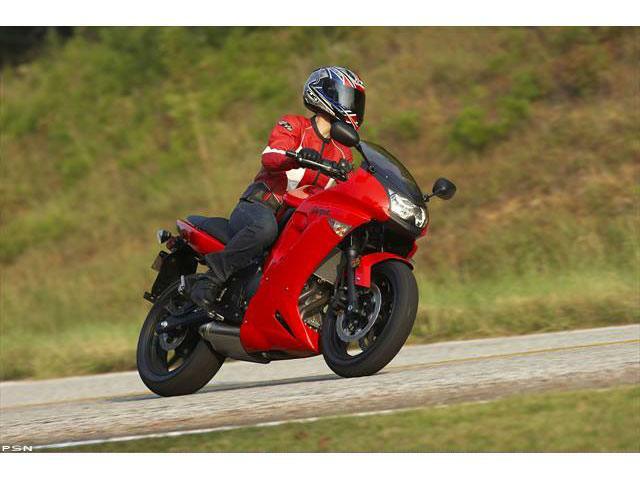 Part of the charm of this sportbike is its design clarity. It blenDual Sport an innovative engine and chassis into a package that doesn’t truly project its intended engineering outcome until the motorcycle a rider is melded into it. Kawasaki’s development team began with a unique posture – focusing on the rider, not the motorcycle – and thus developed the 650R to have broad rider appeal. Narrowing the distance between the footpegs and striving for a low seat height and minimal effort controls all played into the design effort. A major component in the achieving the size-efficient nature of the Ninja 650R is its compact liquid-cooled, fuel-injected, DOHC, eight-valve 649-cubic-centimeter parallel twin engine. 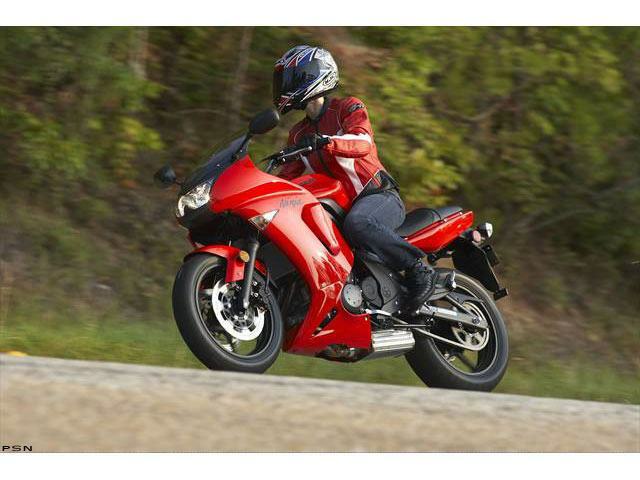 Featuring a confidence inspiring power delivery for new motorcyclists, the engine possesses a smooth responsiveness that is tuned for rider-friendly low and medium rpm ranges. The excellent mid-range characteristics make the 650R a natural in commuting environments, and slipping in and out of traffic will be a cinch thanks to its lightweight trellis frame and responsive steering. The 650R’s engine may be tuned for manageable delivery, but it also has excellent roll-on response for highway passing and more than enough power to be an entertaining trackday companion. Kawasaki engineers applied their vast experience building Ninja supersport machines to develop a motorcycle with the performance abilities that will be a match for anything currently available in the middleweight arena, including those with larger displacement. Exceptionally well-proportioned, the Ninja 650R is a motorcycle both novice and experienced riders can be at home with and one that is equally comfortable in daily commuting situations as well as back-road-blasting on the weekenDual Sport.